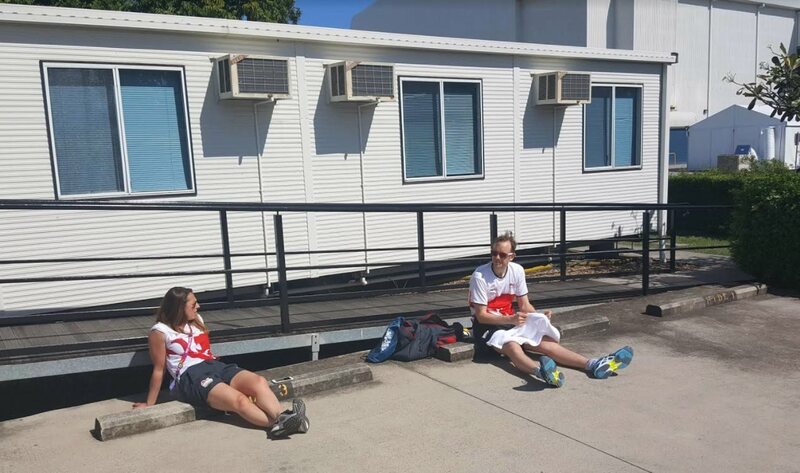 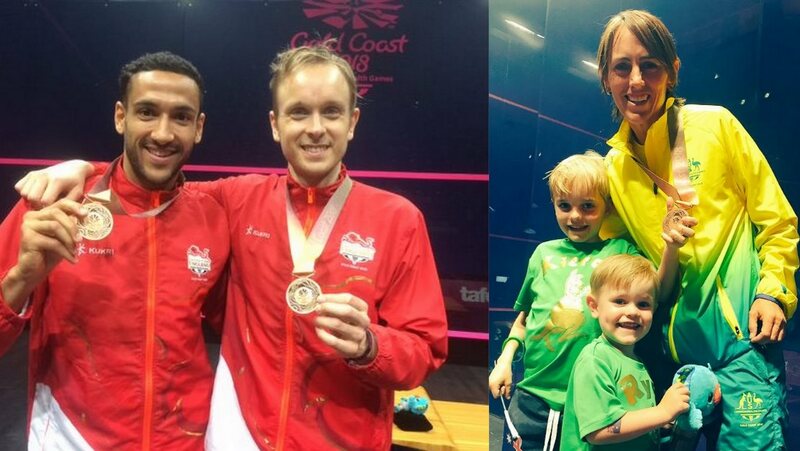 Rachael Grinham & Donna Urquhart started the day by claiming Bronze in the Women’s event , and David Palmer & Zac Alexander finished it by taking Men’s Gold. 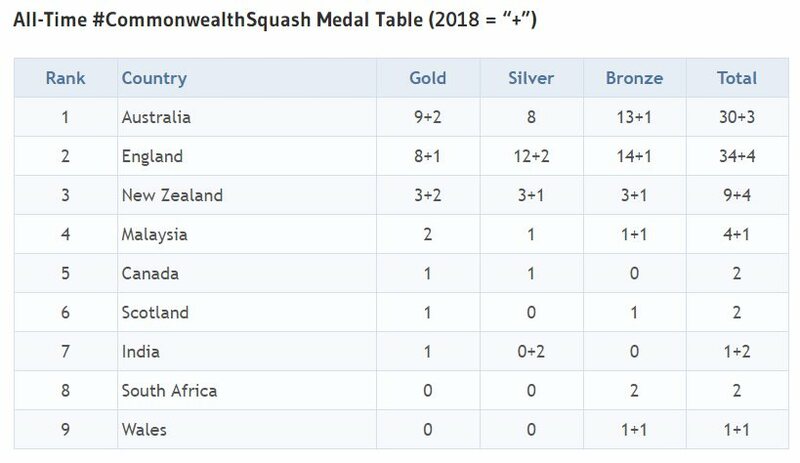 In between England’s James Willstrop & Declan James took men’s Bronze and Joelle King & Amanda Landers-Murphy collected women’s Gold for New Zealand. 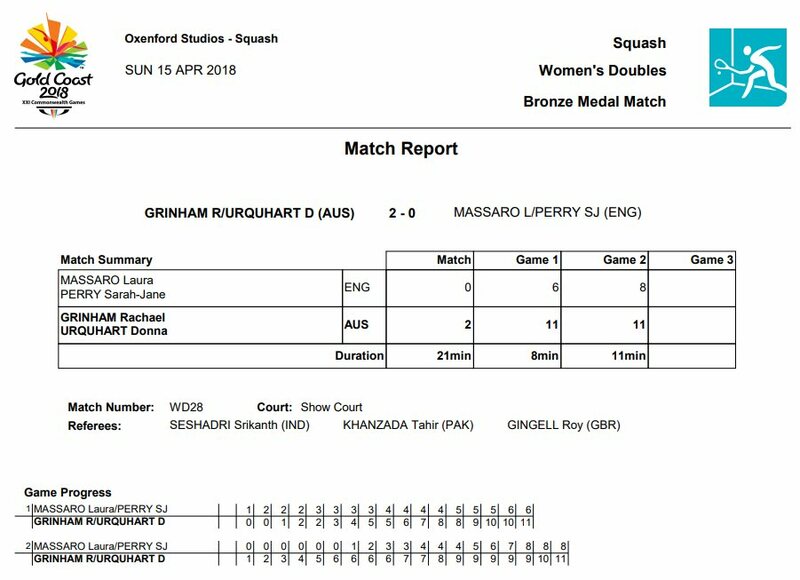 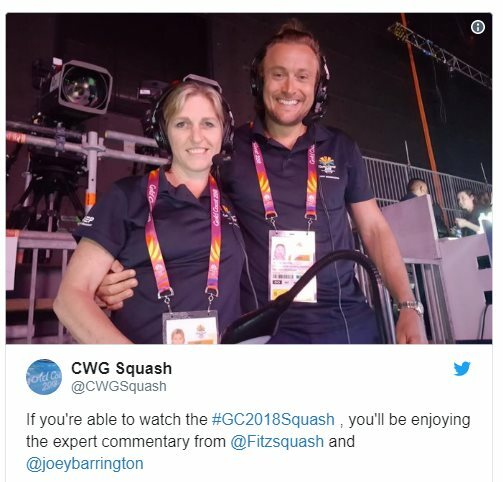 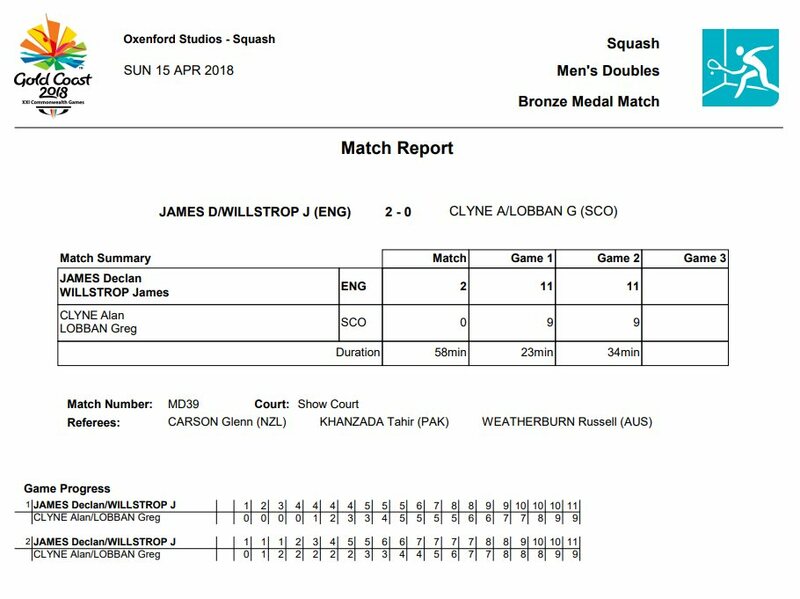 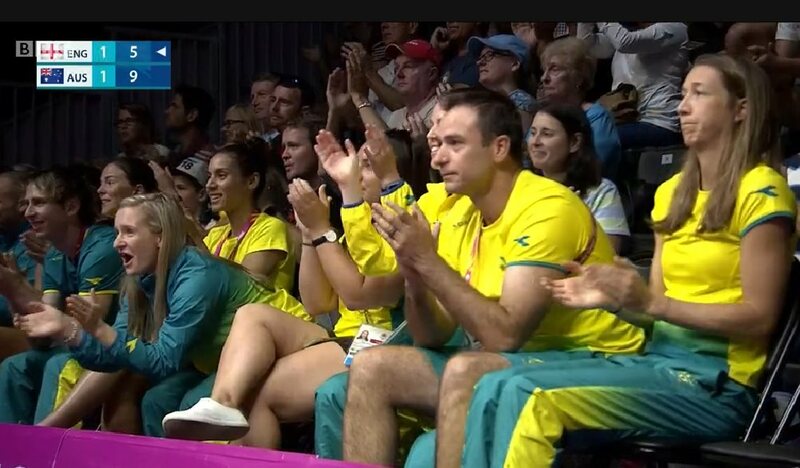 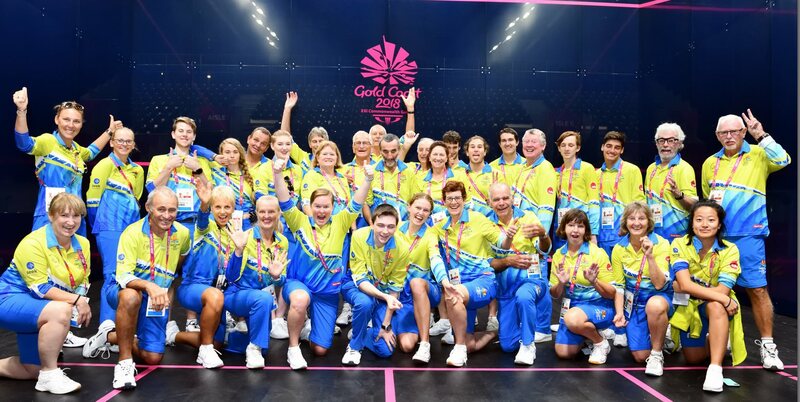 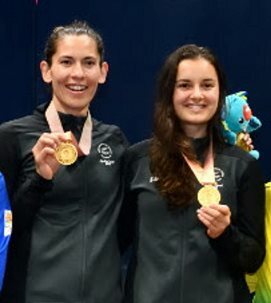 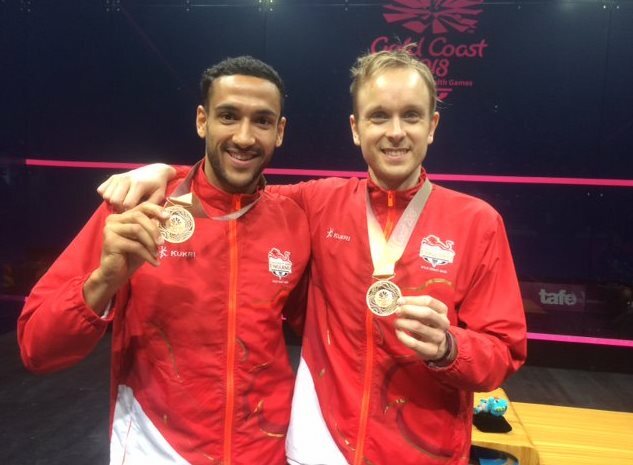 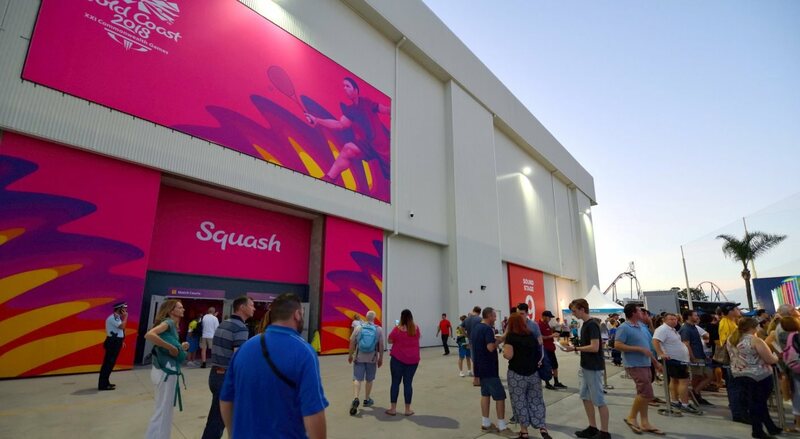 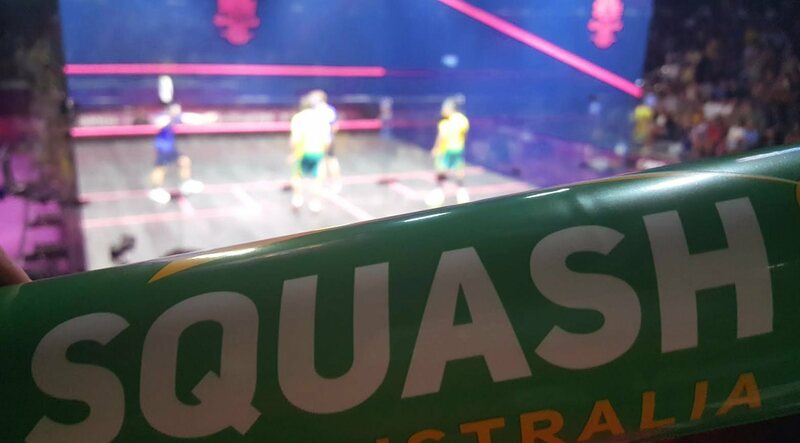 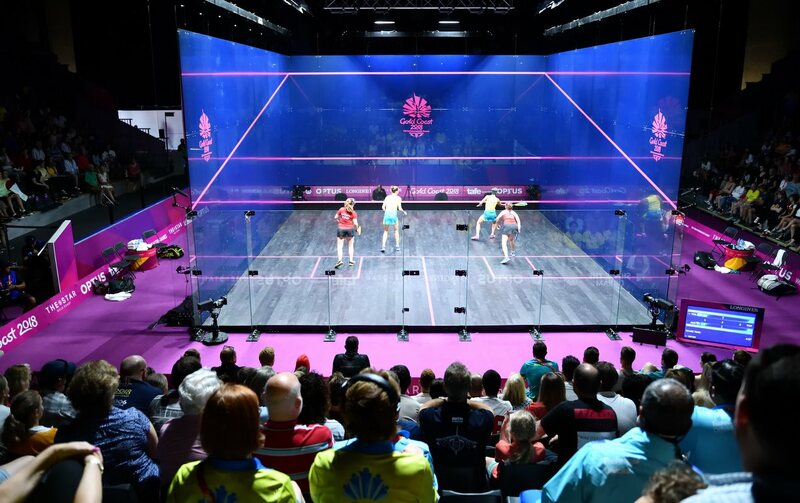 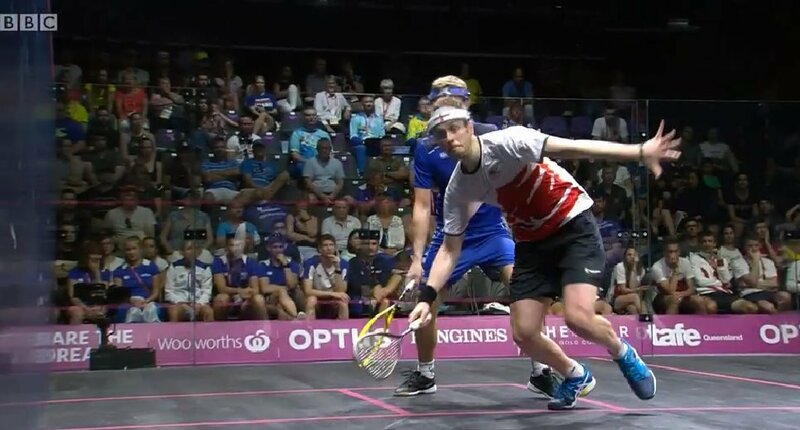 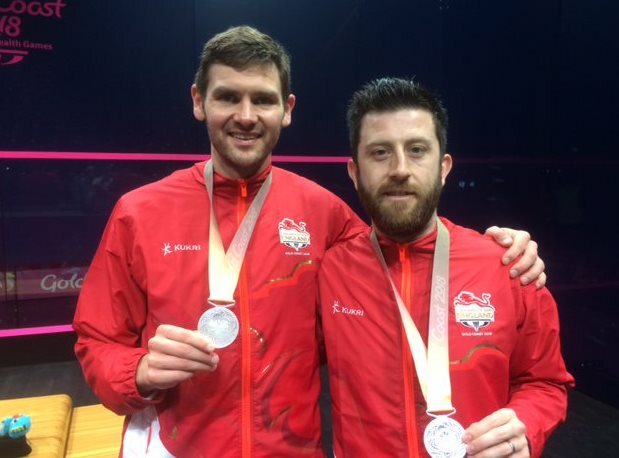 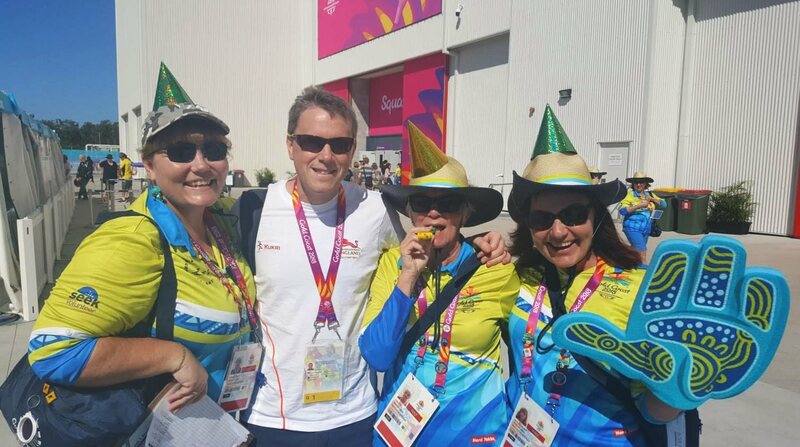 The women’s Bronze match saw Grinham & Urquhart -although by all accounts it was mostly Grinham – beat Massaro & Perry in two quick games, but English success came as Willstrop and James got the better of second seeded Scots Clyne & Lobban in two close games, the match finishing on a ‘no let’. 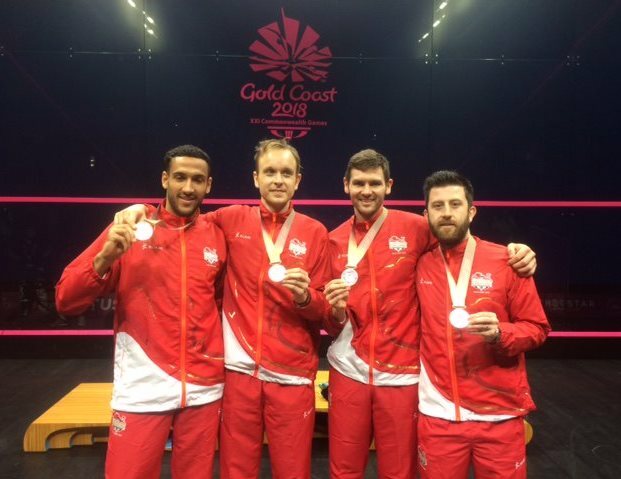 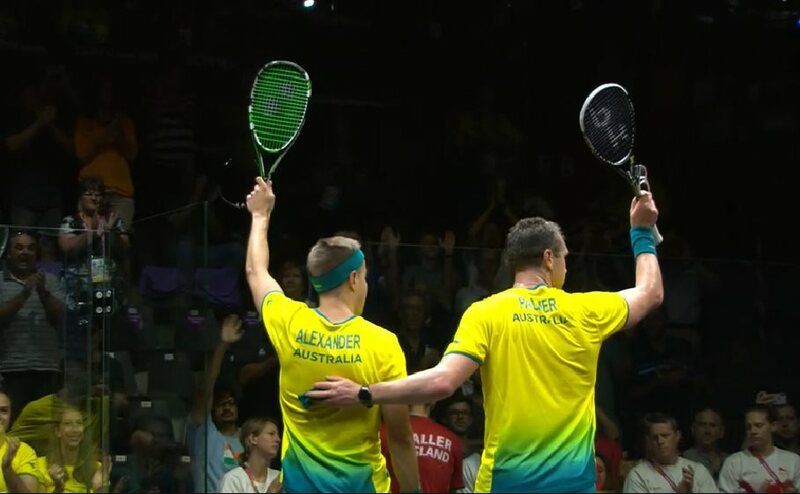 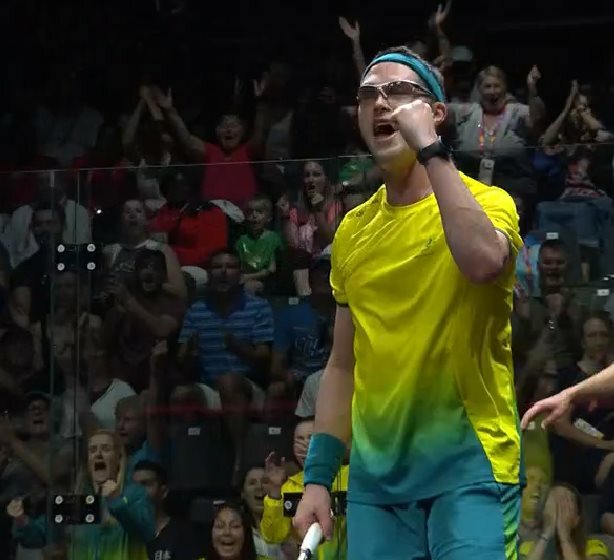 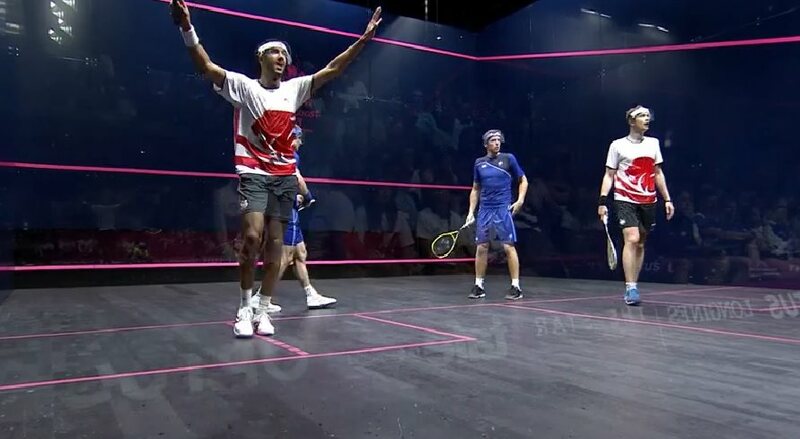 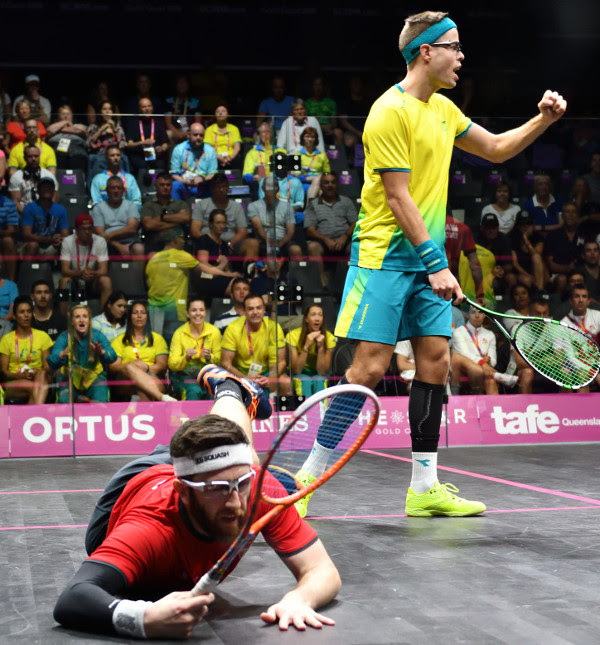 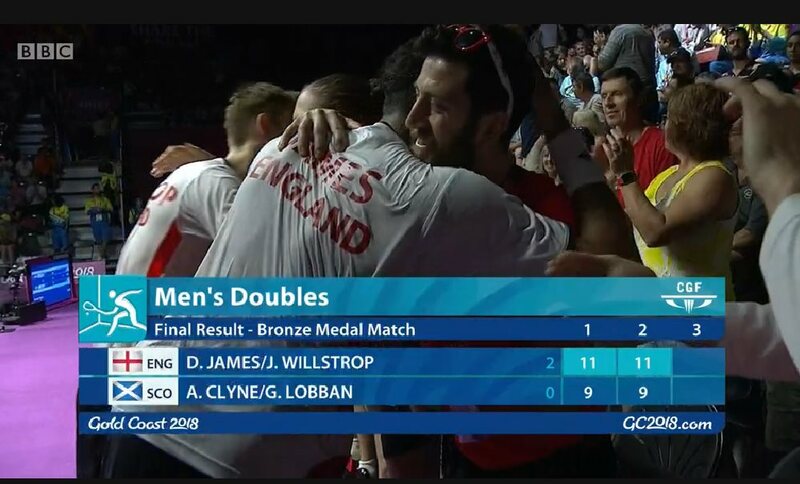 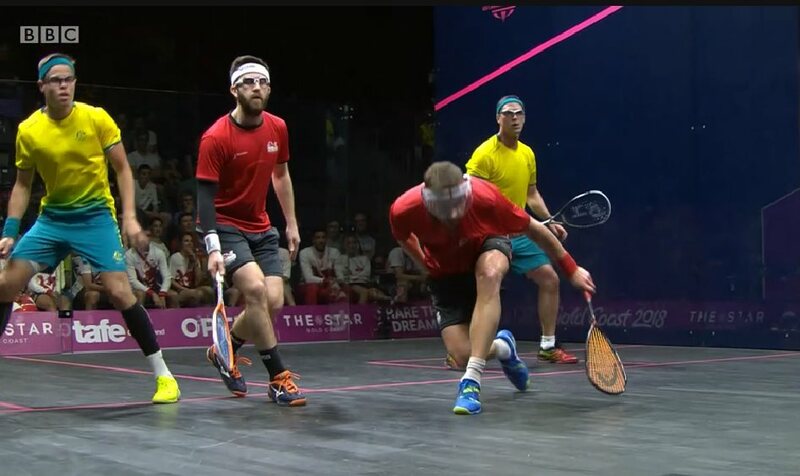 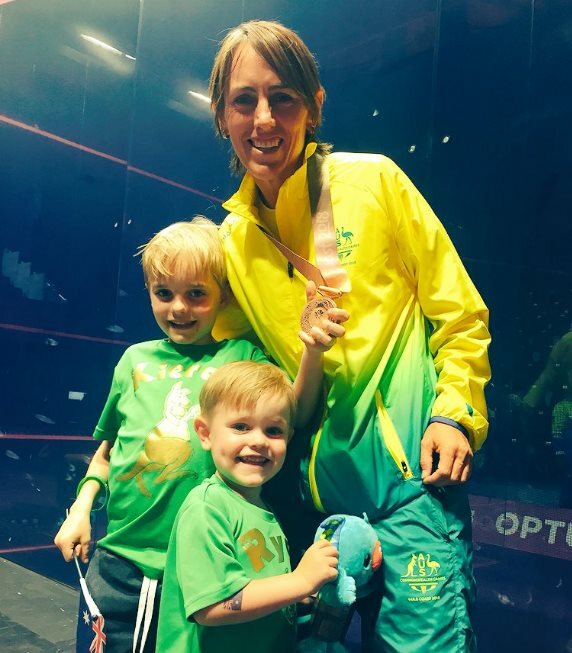 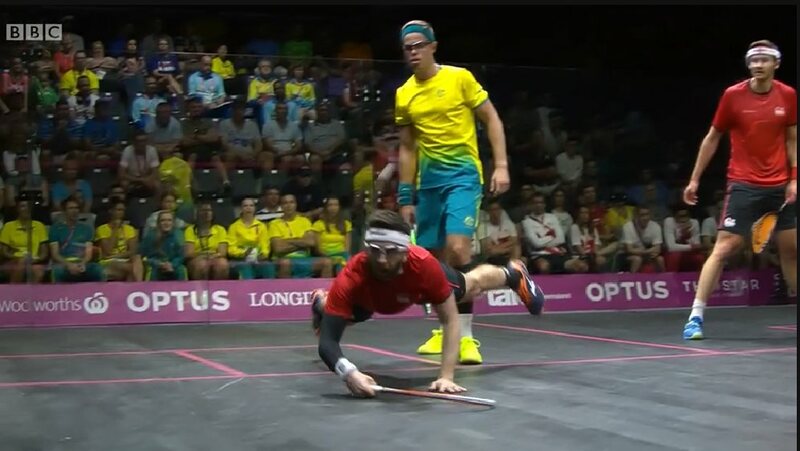 James said : “We never go through the emotion of losing at squash, then having to play again. 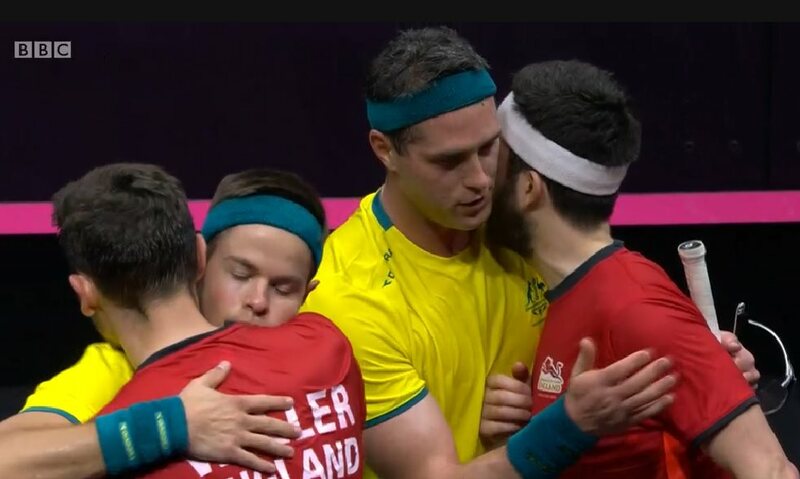 It was reconciliation today – we still realised there’s a huge amount to play for and we said fourth is going to feel a hell of a lot worse than third is. 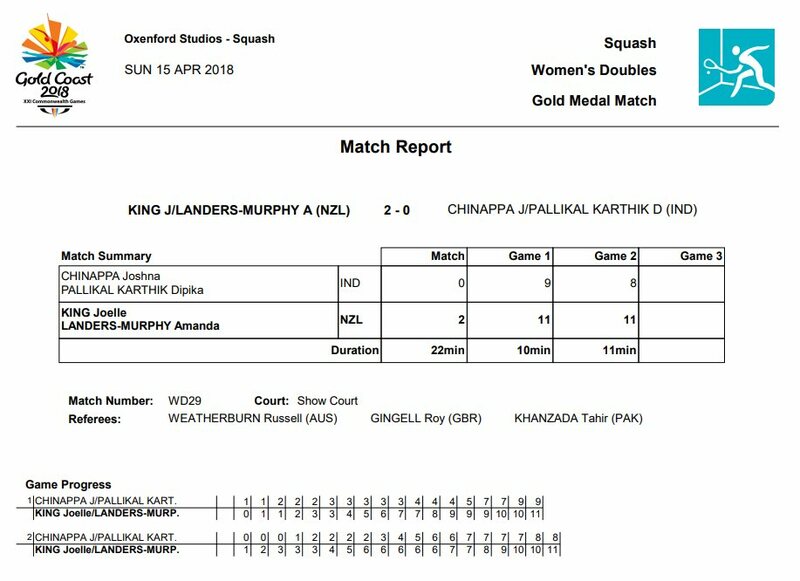 In the Women’s Final King & Landers-Murphy pulled away from 3-all in the opening game to take the lead, and with Landers-Murphy slotting in a series of winners, took a 6-2 lead in the second. 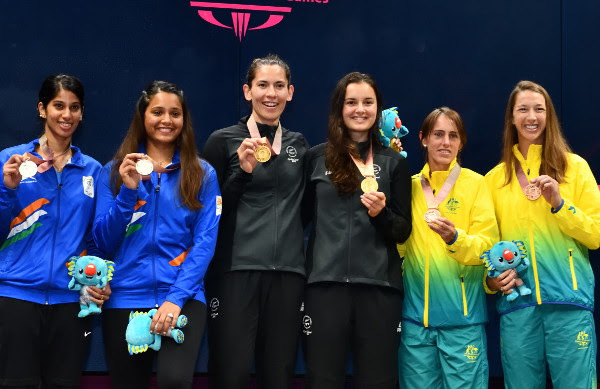 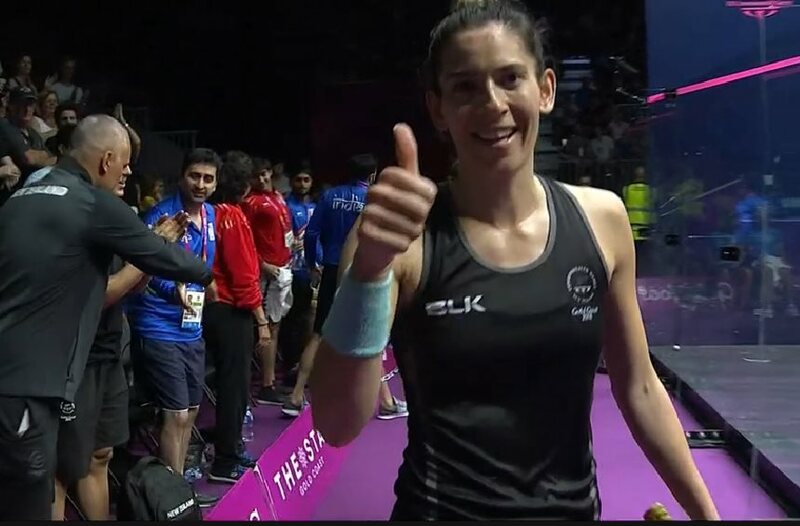 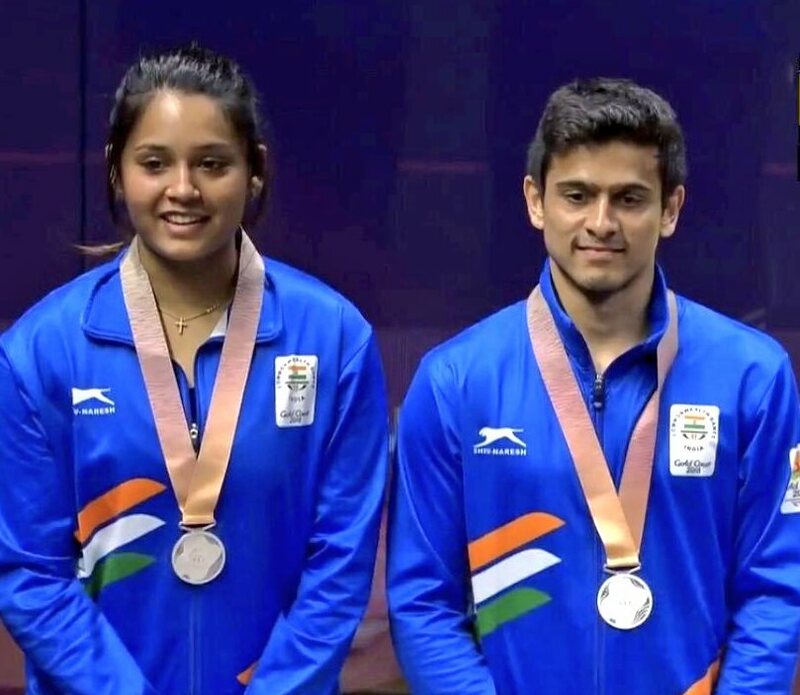 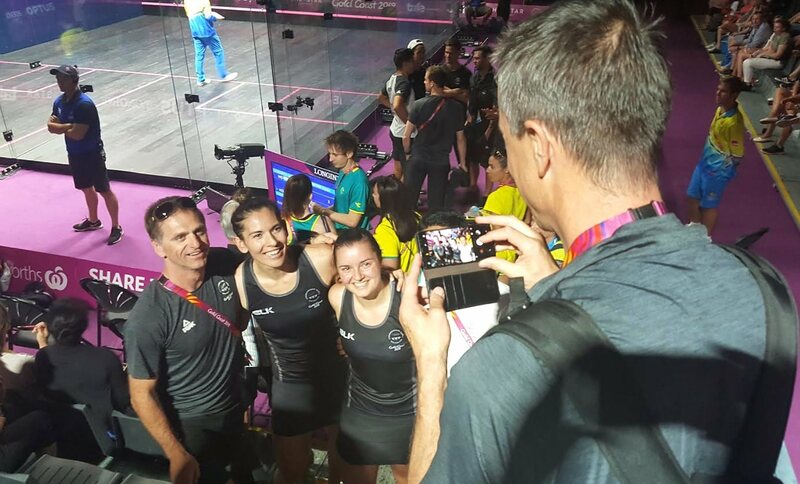 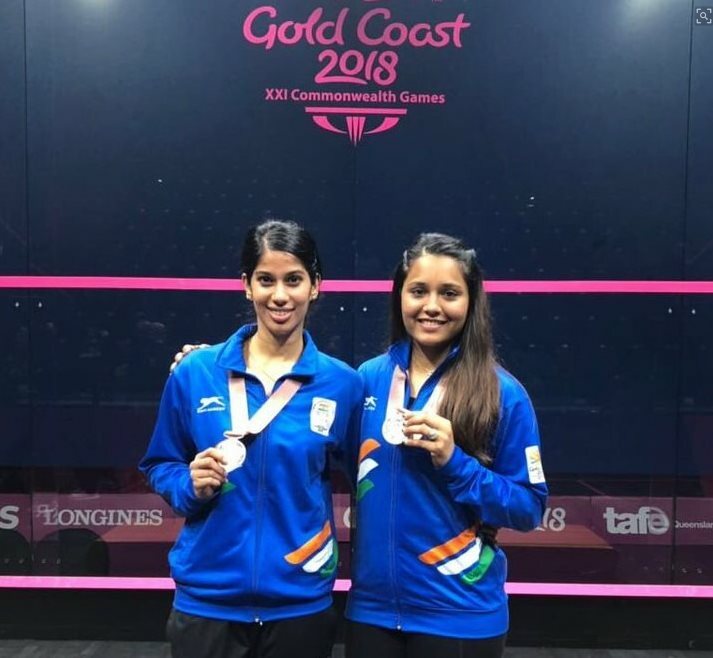 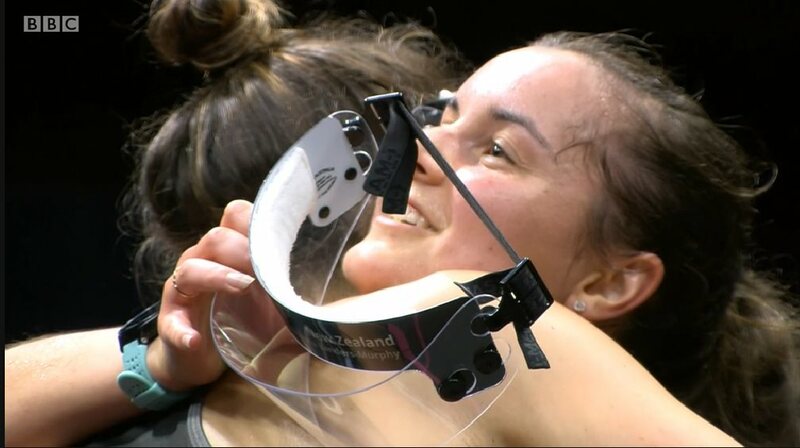 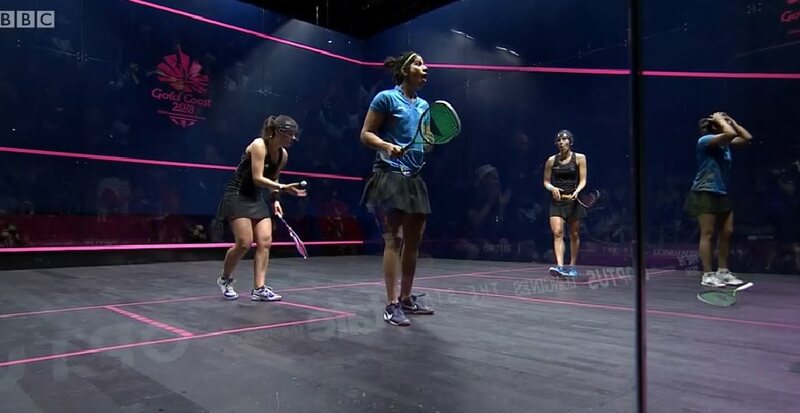 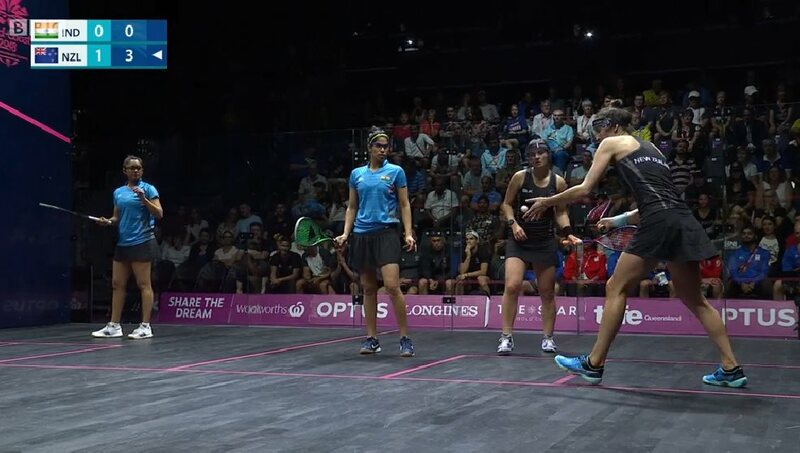 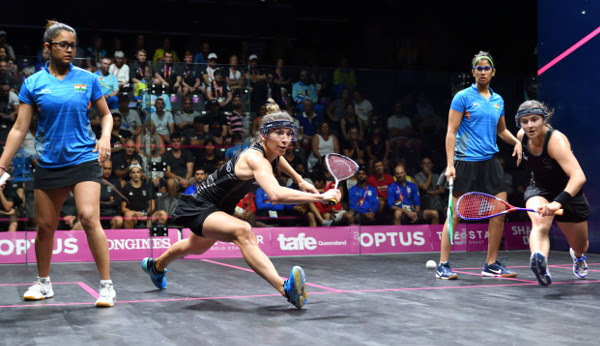 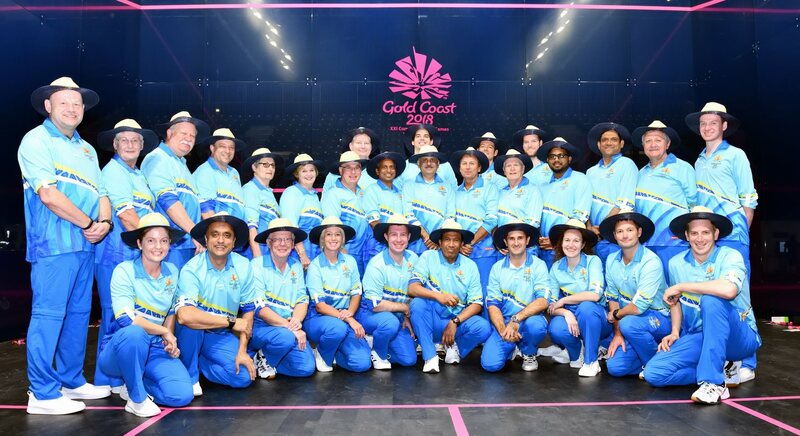 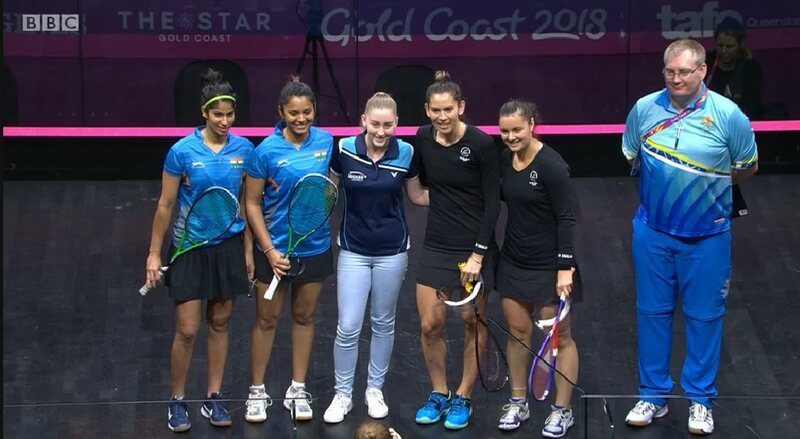 Defending champions Pallikal & Chinappa fought back to level at 7-all, but the Kiwis pulled away again and on their second match ball claimed the gold medal – also on a ‘no let’ decision. 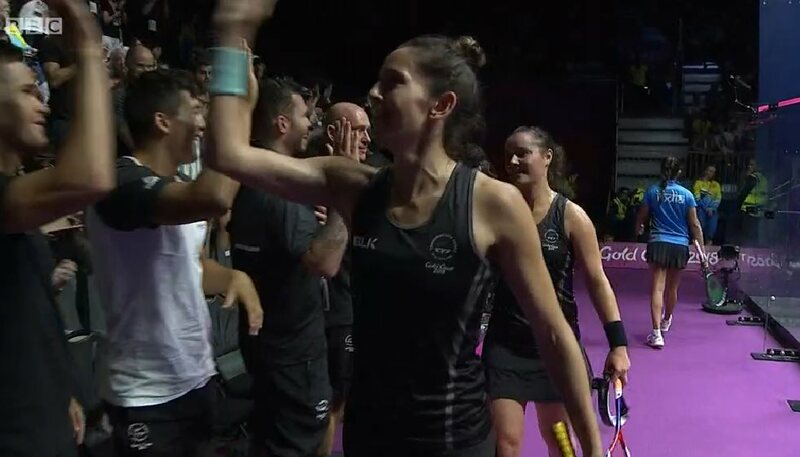 “When you play such a big match, on such an occasion – against a quality team – and come out on top, it’s unbelievable,” said King. 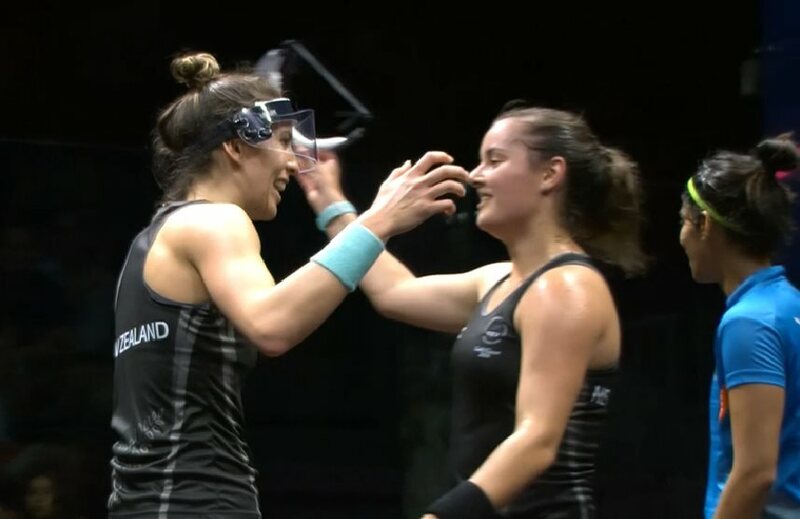 “Amanda is the dark horse of the team, she’s the quiet achiever and she’s carried me most of the week, I’m really happy for her and proud that she’s put in the effort and got the reward. 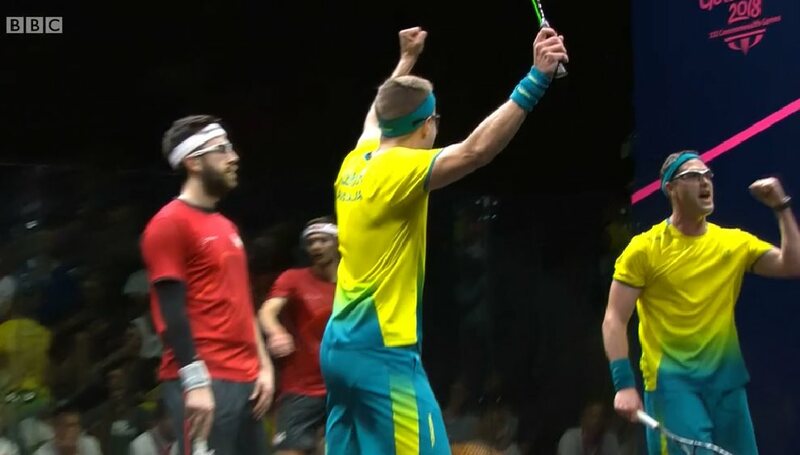 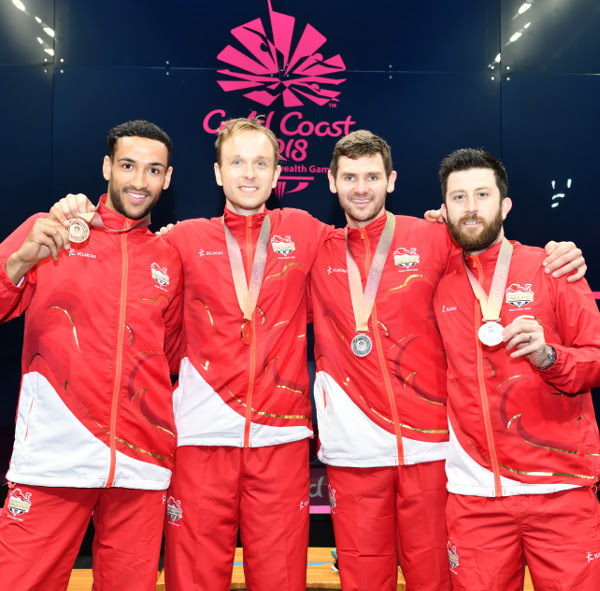 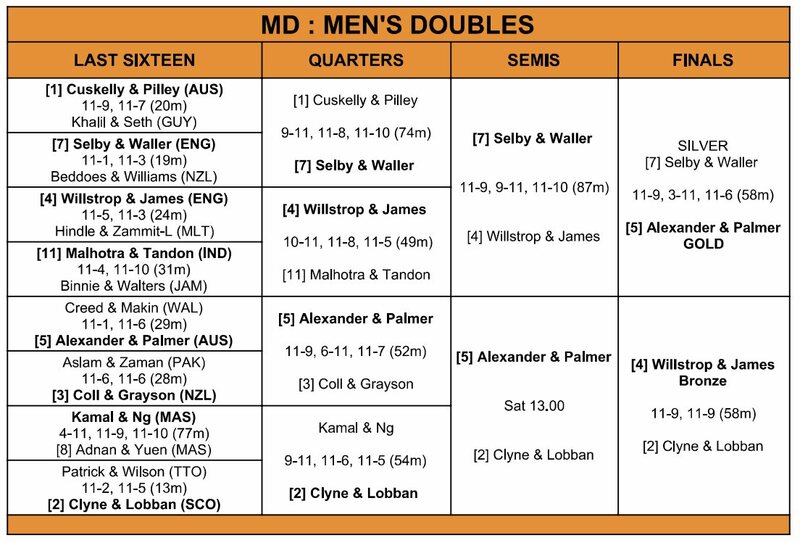 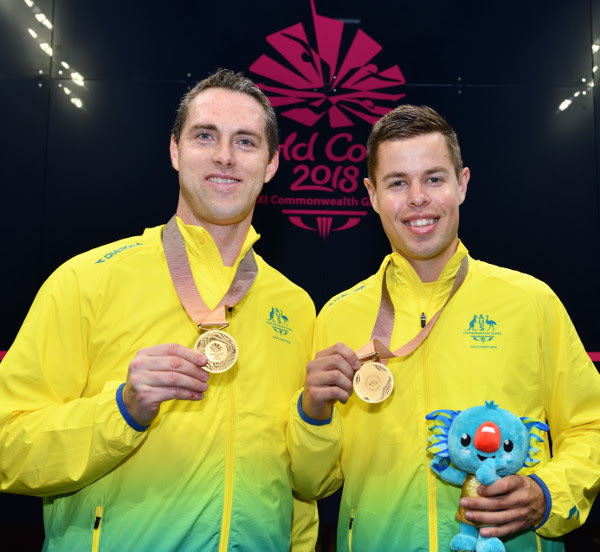 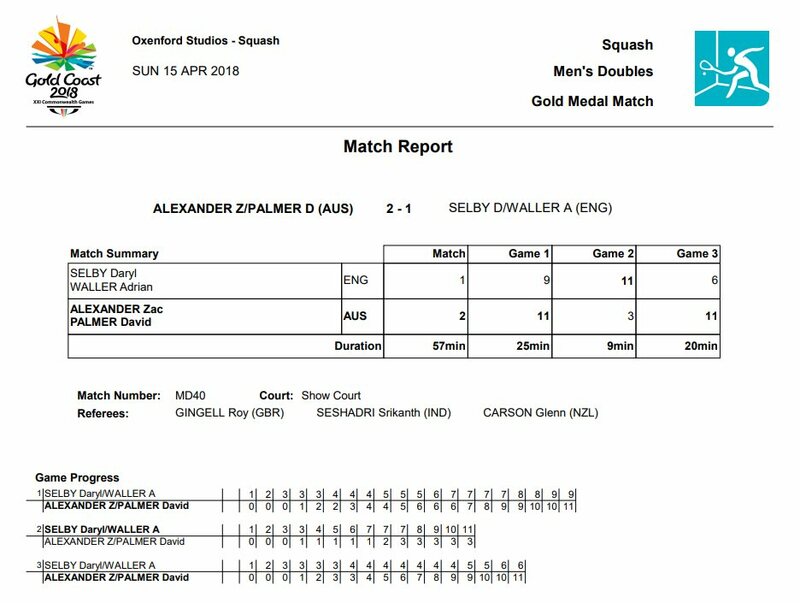 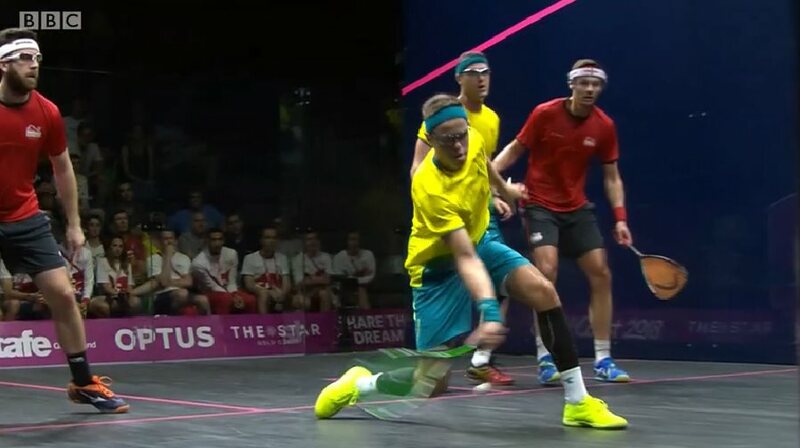 Selby & Waller led 3-0 in all three games of the men’s final, and while Palmer & Alexander recovered to take the first, the English powered through the second to level. 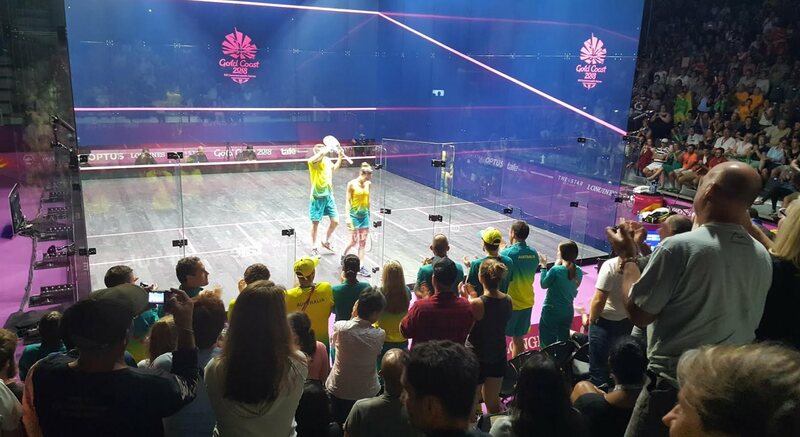 In the decider, with both teams frequently firing the ball down the middle, some costly English errors helped the Aussies, who were both firing in winners, to move ahead to 9-4, then Palmer finished it off with a powerful drive on their second match ball.